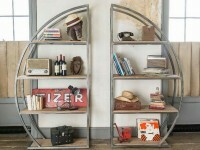 At Harvest Moon we are Willis and Gambier stockists. We stock a range of Willis and Gambier dining furniture and occasional furniture collections from classic to contemporary designs in a range of different wood finishes including oak, cherry, alder and reclaimed solid woods. Willis and Gambier dining furniture collections currently available are the Lille, Revival and Spirit. We adore the Willis and Gambier dining furniture. Why? Simply, becasue it is all lovingly crafted using the highest quality wood and finishes. If looked after well you will be able to hand your Willis and Gambier furniture down to future generations of your family as this is furniture made to last. Should you wish to visit us in person, we have a fabulous selection from the current Willis and Gambier furniture ranges on display in our showrooms in sunny Southport. Directions and map. 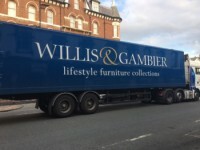 We offer FREE delivery on all Willis and Gambier furniture orders! The Willis and Gambier Lille dining and occasional furniture collection is a beautiful range of French inspired classic furniture with graceful curves and warm, rich wood tones made from a mixture of solid and veneer cherry and alder. The Willis and Gambier Lille collection includes two twin pedestal dining tables - a 6-8 and a 8-10 seater table, various chairs, sideboards, display cabinets, a storage cabinet, occasional tables and a wall mirror. Our most popular Willis and Gambier dining furniture range! The Willis and Gambier Spirit Revival dining and occasional furniture collection is a large collection of timeless classic designs and authentic reproductions. The collection is an eclectic mix and match range of furniture fusing rough wood finishes with neutral linens and metal work with a light classical feel, alongside gorgeous accessories. This range has an appeal for all lifestyles with its unique ability to fuse different finishes and styles with no 2 pieces being the same. With over 50 pieces we have split the collection into 2 for you. The rest of the Willis and Gambier Revival dining and occasional / living room furniture pieces including - easy chairs, armchairs, display cabinets, sideboards, occasional tables and wall mirrors can be found by clicking on the image or the link above. Our fave occasional chair is the Hangertown chair but there are plenty more chairs to choose from plus display cabinets, sideboards, bookcases and chests, lots of coffee, side, console and light tables and a nest of tables and a selection of wall mirrors. The Willis and Gambier Spirit dining and occasional furniture collection is a new collection of elegantly crafted modern solid oak furniture. The warm tones of the wood give the Spirit range warmth and character and the combination of simple clean lines, round corners and delicate legs give it a soft, organic feel. Stylish, rounded finger joints feature on drawer fronts, with all pieces treated with a natural, low gloss lacquer. With its unfussy, classic good looks Spirit adds a touch of sophisticated yet homely style to the both town and country home settings. Choose from over 70 different dining chairs, dining armchairs, bar stools, side chairs and also dining benches from ALL the Willis and Gambier collections. Many are available in a selection of different fabric or leather finishes.